There's A New Rooftop Bar In Town To Check Out! Trella, a new rooftop pub has just opened in T Nagar. It's part of Jaag hotel and is serving up different cuisines and cocktails. If you like bar hopping, check Trella out. The pub isn't too big and can seat up to 40 people and they've got outdoor seating perfect for live music. The decor is pretty minimalist but some parts of the wall have whacky art, including a liquor map with different types of liquor and where it originated. 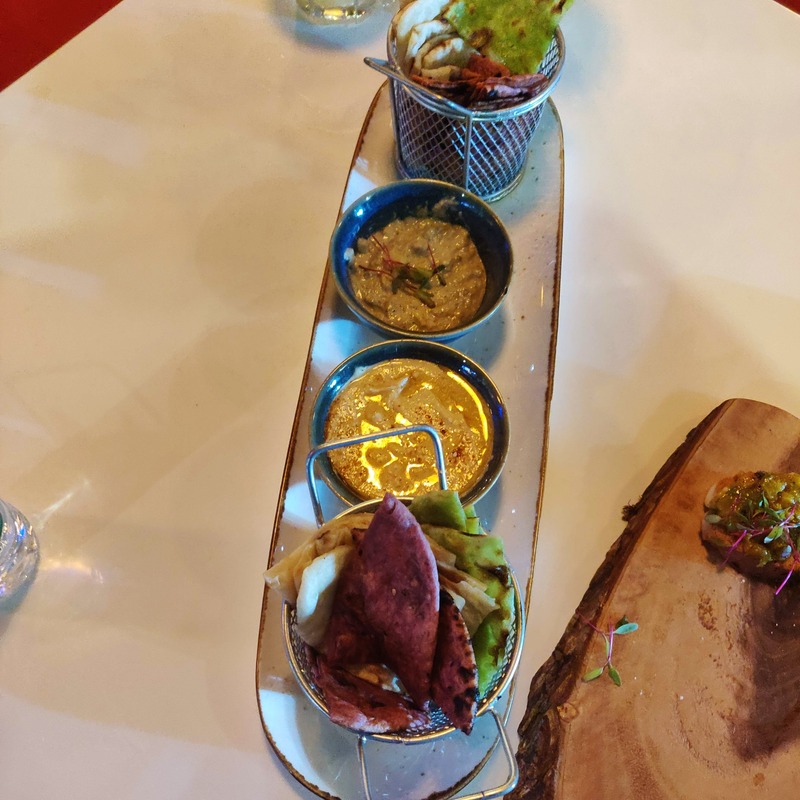 We tried a few starters, including the Pita Pockets & Dips. This dish comes with a variety of pita breads and two dips. However, some of the pita bread tasted like naan or tandoori roti, so skip over this dish. We also tried the Bruschetta, which was crunchy but lacked the garlic flavour and was crowded with a bunch of veggies. The Paneer Tikka Sashlik was yum, and for paneer lovers it's a must-try. Tasty, bite sized succulent paneer cubes with a mildly spicy dip, we enjoyed it. The menu has dishes such as Parmesan Chicken Fritos, Hawkers Fish & Chips, Club Sandwich, Pasture Fed Lamb Burger, Indian Curries (both veg and non-veg), and Pasta. You can choose from a bunch of Asian cuisines like Tempura, Kung Pao Chicken, and Szechuan Prawns priced from INR 175. The drinks menu has cocktails and martinis, so go long on this Long Island Iced Teas. There's Biryani as well, so rejoice!